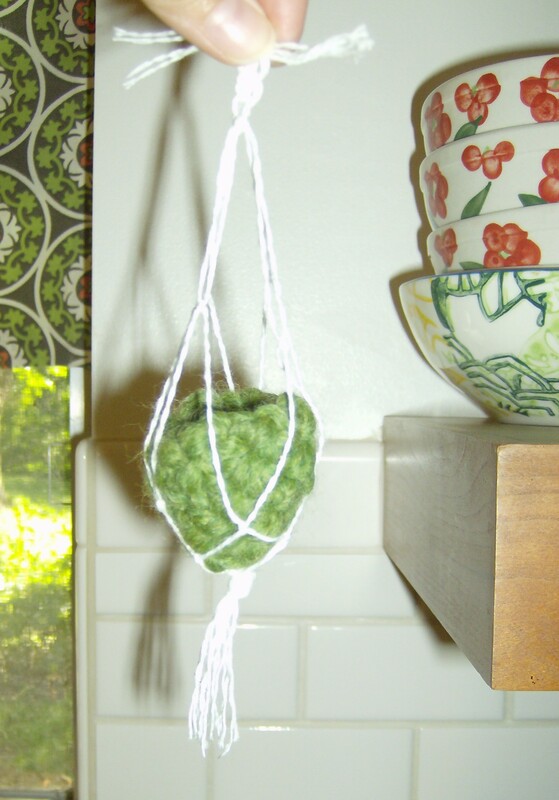 Tiny crocheted pot and thread macrame plant holder by Holly Tierney-Bedord. All rights reserved. I am on the hunt for a leafy little plant to put inside. I think this will likely end up in the bedroom, since it matches the little comforter I made for the bed.